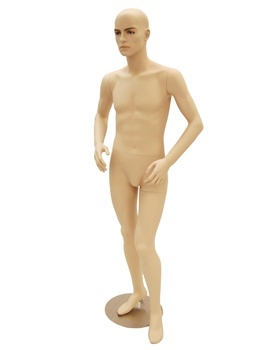 Relistic Male mannequin in fleshtone. 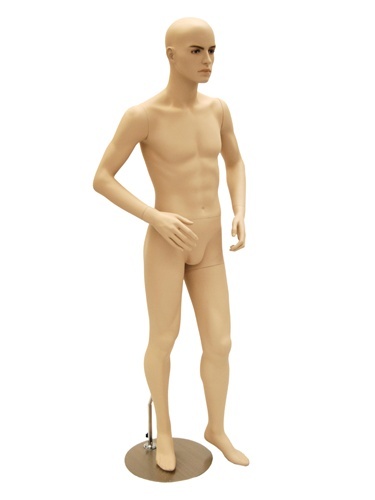 He is SHORTER than the regular model (5' 8" tall), good for museum soldier clothes display, or military uniform collectors. 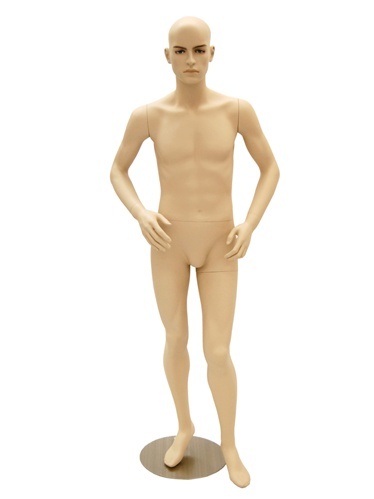 COLOR: Fleshtone, Ships wit base, foot support + calf support.